Israel is very different from most, if not all, other countries. There are things that are uniquely Israel and I think it’s important to share these so, here goes. This is the first in what I hope will be many posts about the Israeli side of Israel. This notice about the train schedules for the coming weekend was posted by the Israeli railroads in the wake of the upcoming Shavuot holiday. Here in Israel, the trains and buses are, for the most part, closed down on the Jewish Sabbath. This is also true of many of our religious holidays, including Shavuot – this Sunday. Friday 18.5.18, the railway service will operate in its usual format, according to a Friday schedule. On the eve of Shavuot, Saturday evening, 19.5.18, the railway service will not work. On the evening of the holiday, Sunday 20.5.18 – the train service will operate on a Saturday night format. Monday, 21.5.18, the railway service will operate on an intensified Sunday basis. The Israel Railways will operate a service to train stations to the city of the training centers….In addition, a special train will be operated for soldiers and passengers whose final destination is the IDF bases in the south, which will facilitate the expected load after the holiday. The train, which can transport between 750-1000 passengers, will depart from Nahariya at 6:21 and will pass through all the intermediate stations to Haifa, Carmel Beach. 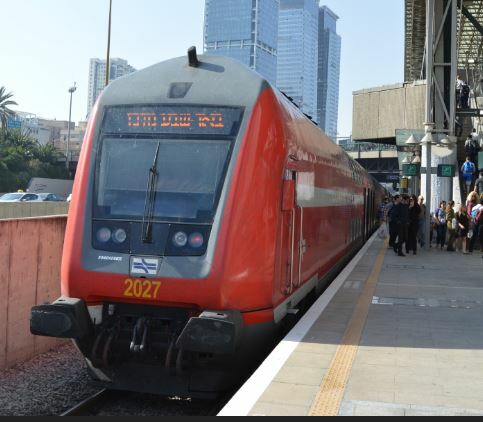 From there the train will go directly to Petach Tikva, Kiryat Aryeh, Lod, Ramle, Kiryat Gat, Lehavim-Rahat and Be’er Sheva stations, without stopping in Tel Aviv. This train will not come at the expense of service to passengers on regular trains, as it does not pass through the Ayalon corridor, and will not take up expensive railway time. Israel Railways wishes everyone a happy holiday and recommends to the passengers to be update on the train times on Shavuot and afterwards through the website, the app, and the Facebook page. I’m sure many countries have train schedules that change. I’m sure many announce those changes. But the uniquely Israeli part is twofold. First, it is a recognition that soldiers will be home for a longer weekend. That means they will, en masse, need to get to their bases on Monday morning instead of Sunday. Second, they are assuring the public that this uncommon number of passengers will not impact on their commute.